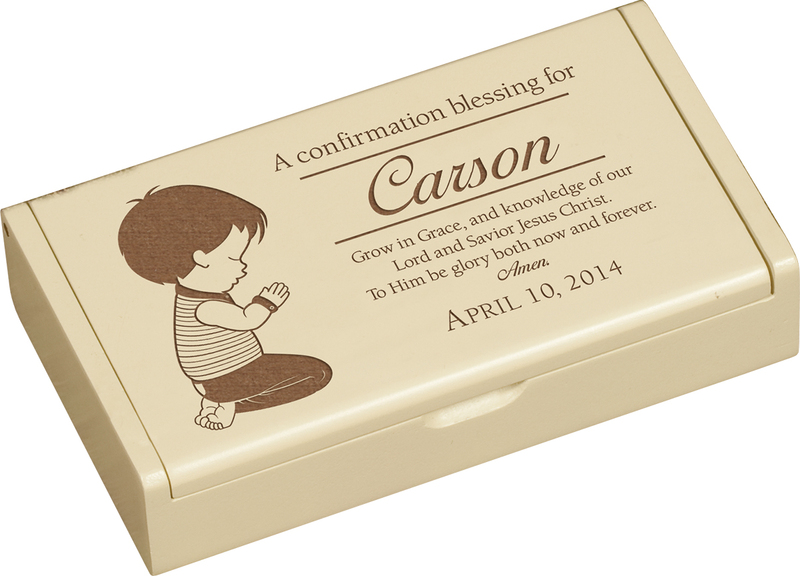 FEATURES/SPECS Celebrate a special boy's Confirmation day with this personalized keepsake box. 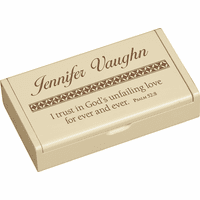 Its made of solid wood and has an ivory finish. 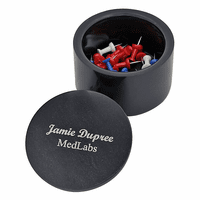 The lid is laser engraved with an adorable little boy kneeling in prayer. Beside him is the text "Grow in Grace and knowledge of our Lord and Savior Jesus Christ. To Him be Glory both now and forever. Amen." 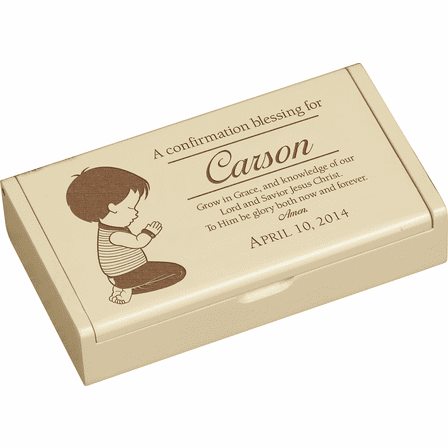 Across the top, we'll add the Confirmation boy's name beneath the text "A Confirmation blessing for." 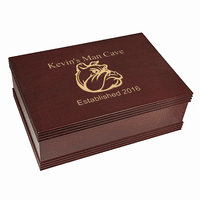 Along the bottom, we'll add the date of the big day. 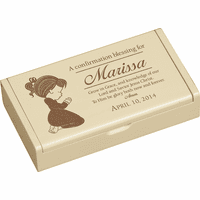 This Confirmation keepsake box is a unique, personalized gift the recipient will use and cherish for years to come.